Think about the last time you watched a show on television. If you’re like most people, you left the room when the commercials came on. Same holds true for ads online. If you’re scrolling through a social media site and see an ad, chances are you just kept scrolling. When you’re watching videos on YouTube, you know you go through the countdown until you can click on the Skip button on the ad and get to what you really wanted to watch. You see, while all of these methods of advertising are great, they are somewhat ineffective. You can’t make people watch commercials or stop scrolling and read your ad. So, while there are about a million different ways to advertise your business, few are more effective than vehicle wraps. Vehicle wraps take something you’re already doing (driving your vehicle) and turns it into an advertising machine for your business. If your business requires that your employees each drive company vehicles, as is the case with plumbers or electricians, for example, your company will be advertised anywhere those vehicles travel. And it’s not like people can not look at your vehicle while you’re traveling down the highway. Unlike clicking or scrolling, your ad is always right in front of potential clients where it simply can’t be missed. 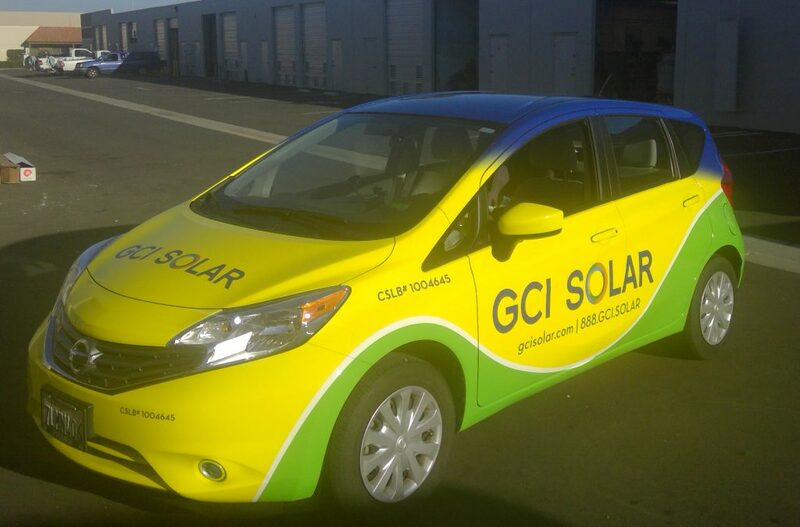 The key to upping the “Wow Factor” on your company’s vehicle wrap is creating an extraordinary design. You want to make sure that your design is something that makes people stop and take notice. You want them to be thinking about it hours after they pass you on the road. When people need the service your business provides, you want to be top of mind so you’ll be the first company they call. What’s more, vehicle wraps are cost effective. Compared to renting ad space on a billboard, vehicle wraps are certainly a better bargain. The average vehicle wrap lasts for up to 5-7 years when properly cared for. That is a one-time expense for years worth of profit. No monthly ad fees to worry about. Talk about a simple and efficient marketing strategy. How Big of an Impact Do Vehicle Wraps Generally Make? On an average day, it is estimated that one wrapped vehicle can produce between 30,000 to 70,000 impressions. What’s more, the Outdoor Advertising Association of America stated that vehicle wraps provide the lowest cost per impression than any other popular advertising method. That’s great news for business owners who are trying to find a unique and affordable way to promote their businesses. Neilsen recently provided results from a study it had done on advertising similar to vehicle wraps and said that a whopping 46% of people researched a company online within six months after seeing an ad, making vehicle wraps one of the most effective forms of advertising available. You simply can’t beat those numbers! So the question then becomes, how can you know with 100 percent certainty that a lead you got was from your vehicle wrap and not somewhere else? The best strategy to use is to purchase a dedicated phone number that only goes on your vehicle wraps. That way it’s easier to track exactly where the caller saw your ad and chose to contact you. As you can see, vehicle wraps not only look great and are eye-catching, they make financial sense for your business as well. If you’re ready to dive into the world of vehicle wraps, be sure to give us a call. We’d be happy to sit down with you and walk you through our process.